Find out why our Two-Factor Authentication is the best, some key-facts for developers and why you should upgrade to SecSign for your business. 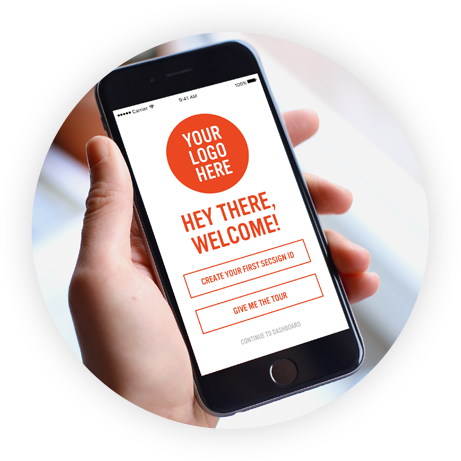 Learn more about the options of on-premise use and your own customized ID App in your corporate design. Download the plugin as cloud version for a free and convenient protection. 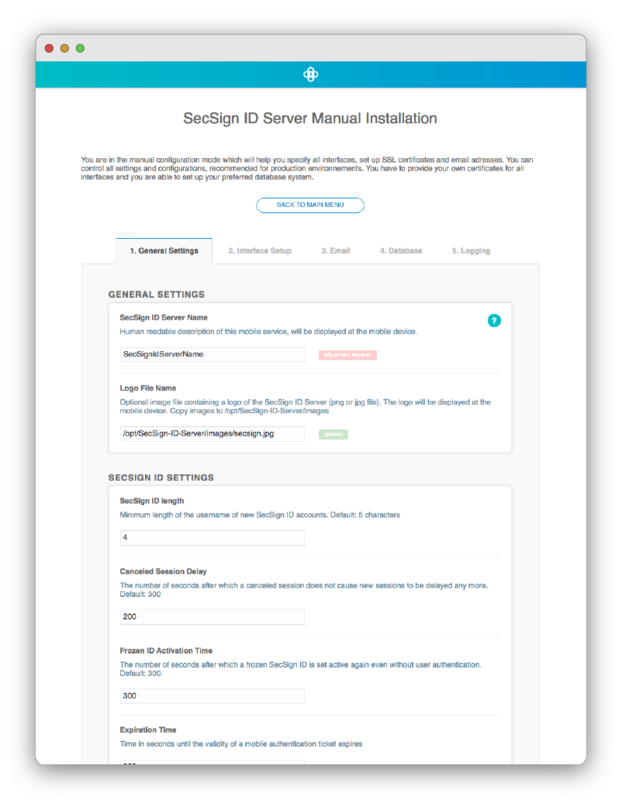 SecSignID is a Two-Factor Authentication Server you can deploy On-Premise. 2FA adds another layer of security by using a second token. In this case the physical token is your smartphone. You have the choice for rollout-options, authentication procedure and additional safety add-ons. There is no need to worry about third party infrastructure constraints or support response times, and you maintain complete control of your data. Questions? Feel free to get in touch with us if you need help setting up your SecSign ID plugin or to request a plugin for a not yet supported environment. The ID Server installation and setup is a simple and straight forward process. 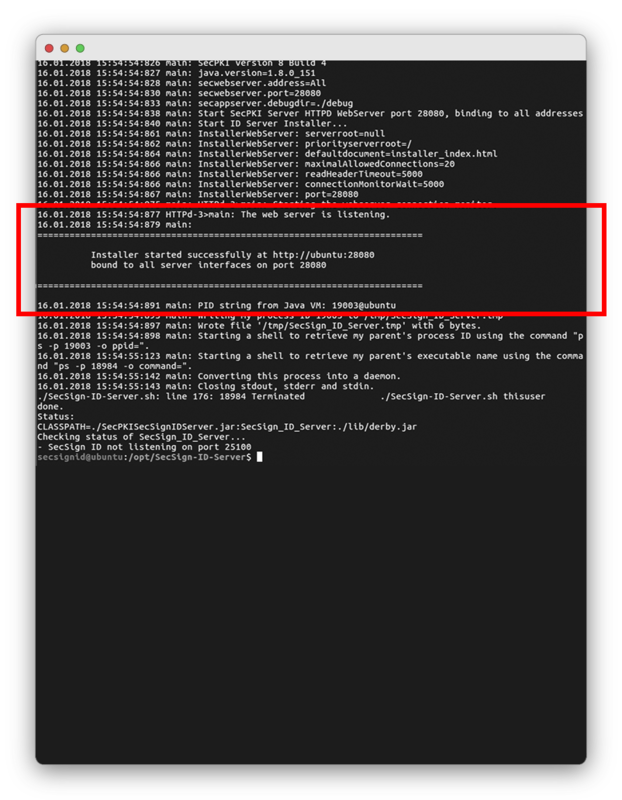 If this is your first time installing your On-Premise ID Server, please read the tutorial below and use the Installer, which will help you with the configuration and deployment. Let us know if you have any questions or if you need assistance with a custom integration or feature. Why bother? We offer a complete installation and configuration package and a ready-to-use turnkey solution. Determine what you need. How many user logins do you want to secure with two factor authentication? Do you need additional features or custom integrations for your environment? If you have any questions, feel free to contact us. Check out our On Premise Server page and order your custom SecSign ID Server. Log into the admin center with your SecSignID to control the ID Server, check statistics etc. You can now add other users or let them subscribe to your two-factor authentication service. The highest protection for your company data, total control with your own server. An On-Premise installation of the SecSign ID two-factor authentication server offers the flexibility to connect with your preferred servers, services, and devices. You can customize the SecSign ID with your own organization’s branding and protect your data on-site. We offer Turnkey VM, JAVA Server, Windows or Linux. User enters his SecSignID (can be web service, ssh tunnel or OS login) and sends an authentication request to the SecSignID Server. The SecSignID Server checks its database if the SecSignID exists. Optional linked user accounts include Active Directory LDAP users, Radius integration, SAML or other user management systems. The user gets a login notification and opens the SecSignID App on his mobile device. The possession of the specific device is the first authentication factor. The user taps on the same symbol he sees on the web service page and this way, confirms the two-factor authentication. The SecSignID Server gets the login confirmation and sends it to the web service, which in turn logs the user into the service or website. Give your users the possibility to log in with their SecSignID only ONCE to securely access all of their corporate apps and services. No risk for access to 3rd-party sites, no passwords or lost/stolen user credentials, all logins are under your control. This greatly increases productivity while keeping data secure. With this additional feature, your users log into the admin area of your ID Server and have (beside their profile information etc.) a summary with all services, they are allowed to use. They can use an app or service with just one click. Easy integration policies ensure an effortless user and service management. Provide your users with uncompromising security and simplify the workflow. Add two-factor authentication to your local user management (Active Directory) and provide your users with easy authentication for numerous services. 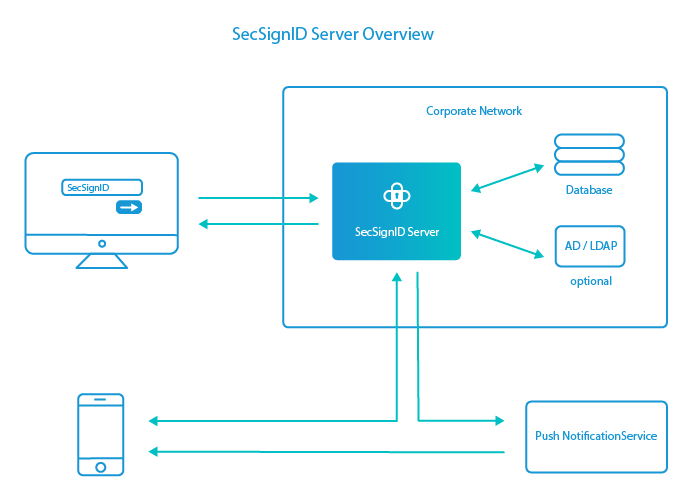 The SecSign ID server can readily be integrated with your active directory, LDAP or your individual user management system by using our convenient interfaces and plugins. Control the SecSign ID naming, for example use of the company’s Email address. The information can be integrated directly from your user management system and privacy policies are enforced based on your requirements. The registration is even easier and you don’t need to worry about compliance. OAuth is an authentication protocol that allows for the interaction between two applications without revealing the login credentials. Most websites and applications offer the possibility to connect accounts with existing accounts with the standard OAuth2.0 protocol (RFC 6749). An OAuth provider login can be secured with the SecSignID two-factor authentication and your On-Premise ID Server can also act as the provider itself. Use SecSign ID to enable two factor authentication on your Windows Server with an easy and highly secure user login using iOS or Android mobile devices. Or deploy a Cisco ASA firewall device, which offers a coordinated combination of hardware, hardened operation system and firewall software. It implements an encrypted remote access to company applications and shared resources via for example SSL or IPsec. 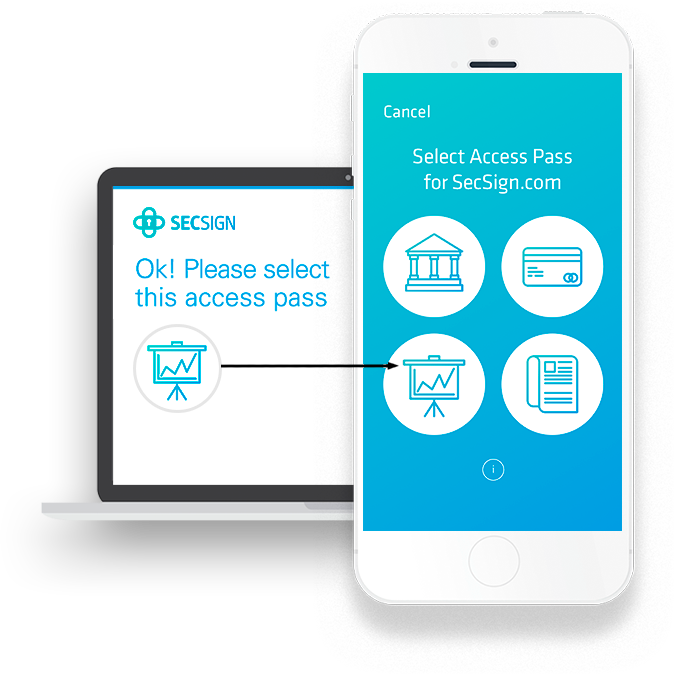 SecSign ID can be integrated in the existing system and offers secure two-factor authentication for your VPN service. Use your local Active Directory for authentication at cloud services and secure access with our SecSign ID on-premise Two-Factor Authentication server. The authentication is redirected via the Active Directory, secured with your on-premise SecSignID server. The authentication takes place on the local ID server. That way all user can be managed and controlled local in the Active Directory. No sensitive data is ever transmitted to the cloud service. Enforce mandatory company-specific regulations and standards for every login and monitor access rights. Secure two-factor Authentication for ALL logins. Self-enrollment, Automatic Enrollment or Administrative Enrollment makes it easy to integrate. For reliability and fail-safe operation it is possible to run more than one instance of the SecSign-ID-Server parallel, either with redundant servers behind a single hostname or with replicated server. Besides the available PIN code and fingerprint authentication, we offer a variety of custom second factors to fit your company’s needs. Utilize SMS messages, security cards or tokens, face recognition, vein or iris scanners and so on. Get in touch to find out, if we can deploy and integrate your custom 2nd factor. 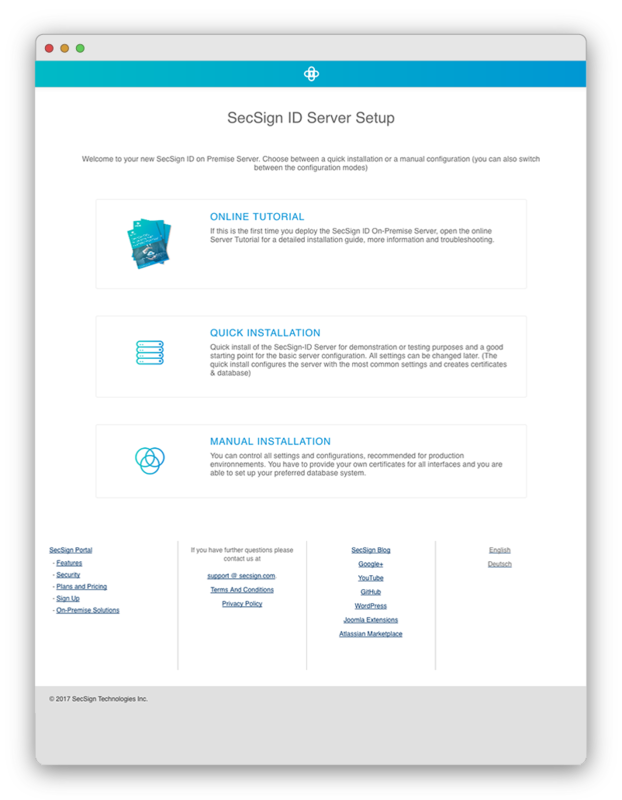 Maximize user compliance and reduce expenses with customized onboarding and self enrollment with your on-premise SecSign ID server. We develop your Two-Factor Authentication app in your corporate design based on your vision – Maximum brand recognition for your customers. SecSignID can also be integrated into existing iOS / Android / OSX / Windows Apps. We offer a SDK to easily integrate your on-premise authentication service. You have special requirements for your authentication service? We will be by your side, to utilize other authentication factors or integrate the SecSignID into custom environments and systems. Get in touch, to discuss your specific requirements. The highest protection for your company data, total control with your own server. Exchange of large files and messages, digital signatures and more – always encrypted and protected with Two-Factor Authentication. It’s like Email, just better: Encryption on all levels, truly secure user authentication, no spam, unlimited sized files, cloud sharing and collaboration. Your individualized portal with your logo, your URL and company branding. With the SecSign Portal you can collaborate with other users, sign and share legal documents. Compliance with international and national regulations, legally binding signatures and applications for both companies and private users. Implement advanced or qualified (QES) signatures and design your workflows to comply various regulations (eIDAS, FDA, …). For a database not installed in the same VM only space for the log file is required. If the database is installed in the same VM, the file storage has to be added accordingly. The SecSign ID only requires minimal file storage for non-confidential files in the database (no passwords are generated, used or saved in your database or server. There are no specific requirements for the SecSign ID Server operating system, however it needs to be deployed on an environment capable of running the Java Runtime Environment. We recommend the newest stable Ubuntu Linux or a Windows Server. Production Environment: The SecSign ID Server should be publicly accessible over two different interfaces on port 443 (SSL), one for the web interface and one for the mobile interface. You need to get two domains for those interfaces and SSL certificates. The ID Server can be set up to obtain SSL certificates automatically via the Let’s Encrypt authority. Testing Environment: One publicly accessible IP address is enough for testing the ID Server. Please refer to the following steps to set up the environment. All following commands and requirements are documented for Linux Ubuntu LTS and Windows Server 2016. Other OS versions or Linux flavors are very similar to set up. Depending on your needs and infrastructure, there is a vast amount of operating systems available, which are capable of running the Java Runtime Environment. Refer to the compatibility list if you are unsure. For testing purposes, you can most likely just use your alredy running local Windows, Linux or OSX setup. The SecSignID Server can run as a virtualization for example in VirtualBox or VMware. Just install the virtualzation software and then install or import your prefered OS. Make sure, that all network connections are properly set up. After setting up the OS, the Java Runtime Environment (JRE) needs to be installed. You can download the install packages for free at oracle. Any of the following databases may be used: Apache Derby, IBM DB/2, Microsoft SQL Server, MySQL (with InnoDB Storage Engine), Oracle, PostgreSQL, Sybase/SAP. Default is Apache Derby and will be installed and configured automatically. The SecSign ID Server should be accessible over two different interfaces. The web interface handles the authentication requests from web services. The users smartphones connect to the mobile interface to accept or decline the authentication. Option 1) We recommend port redirection at the firewall/router configuration or using iptables to redirect external port 443 to another internal port. This way, the SecSignID Server can run using any ports, for instance 20443 for SecSignID app requests and 30443 for the HTTPS web interface. The internal interface ports will be redirected, that they are externally available on ports 443. Note: Using setcap on the Java binary would allow any Java Application to also bind to 443, which might be a security risk. You can use your own SSL certificates (in *.der format) or use the Let’s encrypt service, which will generate valid SSL certificates during the server installation automatically. 1. Only for testing purposes, one IP address may be sufficient (with different ports). Ports below 1024 are reserved for root, however the SecSignID Server can run using any ports (for instance 20443 for SecSignID app requests and 30443 for the HTTPS web interface). You can configure the ports later with the Installer. 2. 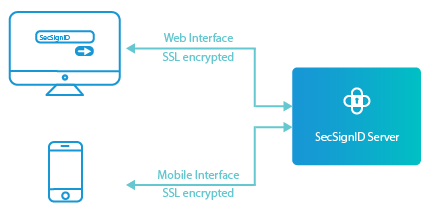 To ensure secure encrypted communication between the ID Server, mobile phones and web services, you need valid certificates. The ID Server can generate valid certificates via Let’s Encrypt automatically. Since you might test the SecSign ID Server on a local machine, without a publicly static IP or domain, you need a dynamic dns service, which is easy to set up. Just choose a domain name and insert your IP address after registration. With this service, you’ll have a web address which routes to your machine. 3. You can generate your own self-signed SSL certificates or use the Let’s encrypt service, which will generate valid SSL certificates during the server installation automatically. For testing environments, we recommend to use the Quick Installation mode in the Installer. If your working directory is not under /opt/SecSign-ID-Server/ you have to adjust the starting script SecSign-ID-Server.sh (Linux) or SecSign-ID-Server.bat (Windows) to point to the desired directories. Adjust the JAVA parameter according to the version of Oracle Java installed. If you choose to use another database (alternative to the Apache Derby Database included by default) adjust the CLASSPATH parameter according to the database chosen. If you have Problems starting the server, check out 11. Troubleshooting. All logs and debug files are located in your working directory. Usually /opt/SecSign-ID-Server/log and /opt/SecSign-ID-Server/debug. After the first server start, the Installer will be activated. It helps you to install & configure the server in no time. The output of the console or terminal shows you the address and port. Don’t worry, if the Server states, that it’s not listening on port 25100 in the last line. We will change that with help of the installer. Usually, the Installer binds to all available interfaces on port 28080. Use a web browser and open the Installer, for example https://ubuntu:28080 on your local machine or http://192.168.202.223:28080 on another machine inside the network if available. To find your server ip address, type ‘ifconfig’ (‘ipconfig’ for Windows) into the terminal. 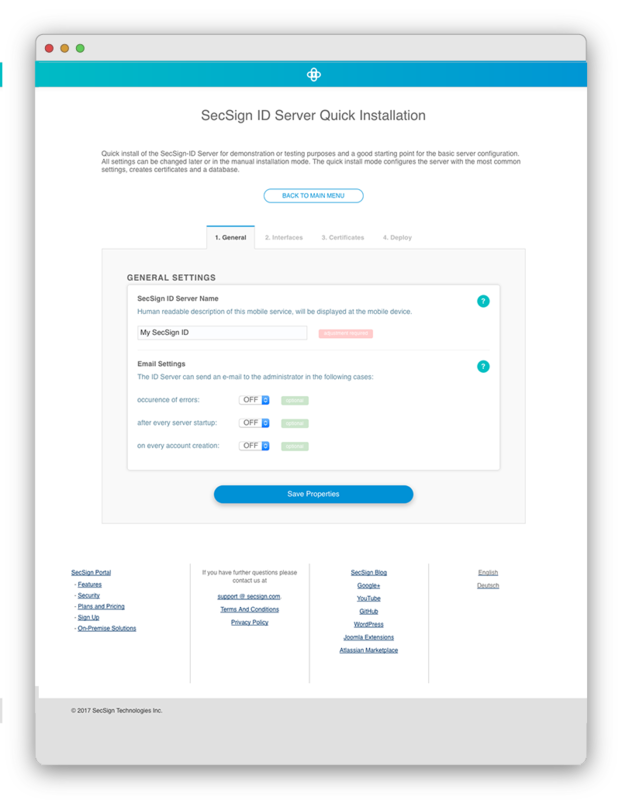 If you deploy the SecSignID Server the first time, we recommend the quick install. All settings can be changed later. In quick install mode, you’ll be able to tweek just a few settings to get your ID Server going in most standard scenarios. The Installer will create cetrificates (for SSL mobile & web interfaces) and a Derby database automatically. The SecsignID Server will be bound to all interfaces on cusomizable ports. This can be usefull for testing the server, fast deployment or for external/internal port mapping. If you need more custom settings, go back to main menu and click on “Manual Setup”. Otherwise skip 3b below and go on to 4. Deployment. You can change all settings, including database systems, paths to specific interface certificates and bind services to specific interfaces. When everything is set up, it’s time to deploy the SecSignID Server. Just click on the last option “Deploy” at the quick or manual installer tabs. Copy the interface addresses and click on “Next”. This will deactivate the Installer. The following settings are based on our public available SecSignID Apps. If you ordered a custom app, the ID setup may be different and easier. Depending on customizations, the server URL may be preconfigured, or you have to login with your LDAP credentials to create a SecSignID. The UI might be brand specific. 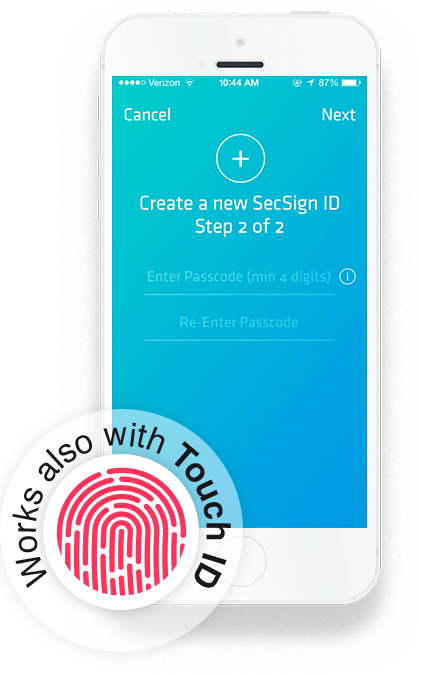 To create your SecSign ID, please download and install the SecSign ID app. We currently support Android phones and tablets, iPhones and iPads, Windows phones and Macbooks running OSX. Once downloaded, open the App. To create a SecSignID, on your server tap “more” in the right bottom corner. This will open the application options, where you can find FAQs, settings for your SecSignIDs and so on. Tap on “New Identity on other Server” in the opening menu. This will open a dialog to create a SecSignID on a non cloud server. Insert the URL which routes to your mobile interface. Earlier, you set up DNS or dynDNS to connect your domain names to your ID Server’s IP addresses. Type the URL and port (if it is not 443 ), for example id1.example.com or id1.example.com:1445 and tap “Next”. Don’t worry: you don’t need to create a long or complicated user name with numbers or special characters. Note: If you prefer a specific naming pattern for your users, our custom apps offer easy onboarding and custom user enrollment. Besides a company specific design or integration, there are several easy ways to set up your user accounts. For example, automatically use their Active Directory name, email address or lastname.companyX. Set up all accounts as the administrator or send user specific activation links or let your users choose a name with set prefix or suffix. Your PIN will never be transmitted or stored. It will be used only to secure your private key on your mobile device. For iPhone users the touch authentication is set on default. To use the PIN for authentication simply change the ID settings. For Android users the fingerprint authentication can be setup in the corresponding settings. Hit “Next” and your new SecSignID is ready to go! After you created your first SecSignID, you can log into the Admin area of your SecSignID Server. There, you are able to configure the server, see statistics & logs, lock IDs, manage users and so on. Other users (non-Admin) can just see their profile page after login. Use an internet browser and open the Admin URL, you specified earlier, for example admin.your-domain.com. 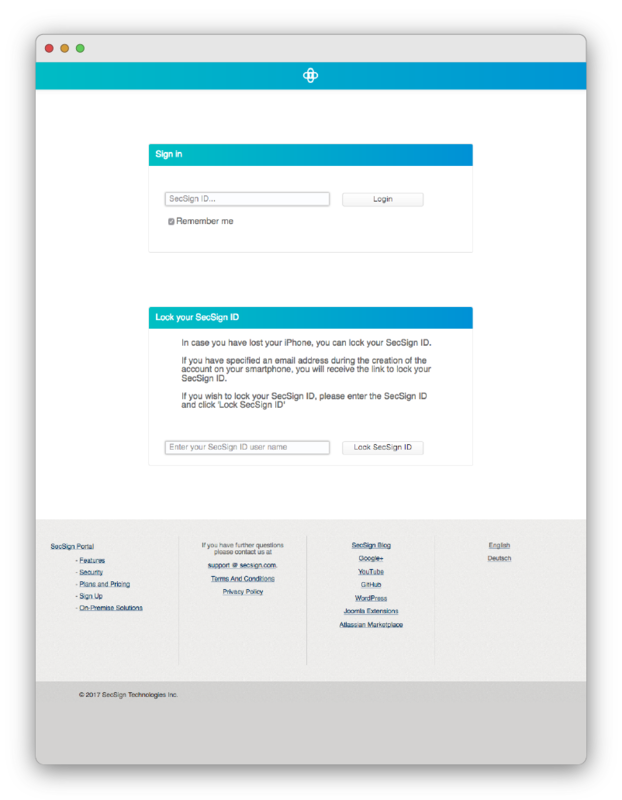 If the server and your first SecSignID on your mobile device is set up, you can log in as administrator. Just enter your SecSignID at the Sign In box and hit enter, an access symbol will be shown in your browser. This page is important for all of your users. They can update their profile and see past logins attempts. In case a user has lost the authentication device, the SecSignID can be locked. After providing the ID, the user gets an email with a link to lock the SecSign ID. Check your smartphone. You will receive a notification, if you activated and configured Push Notification through Apple or Google. Otherwise, just open the SecSignID app and tap on your user ID. After you provide your PIN or finger print, you should see the access symbols. Tap the access symbol that matches the symbol in your browser. 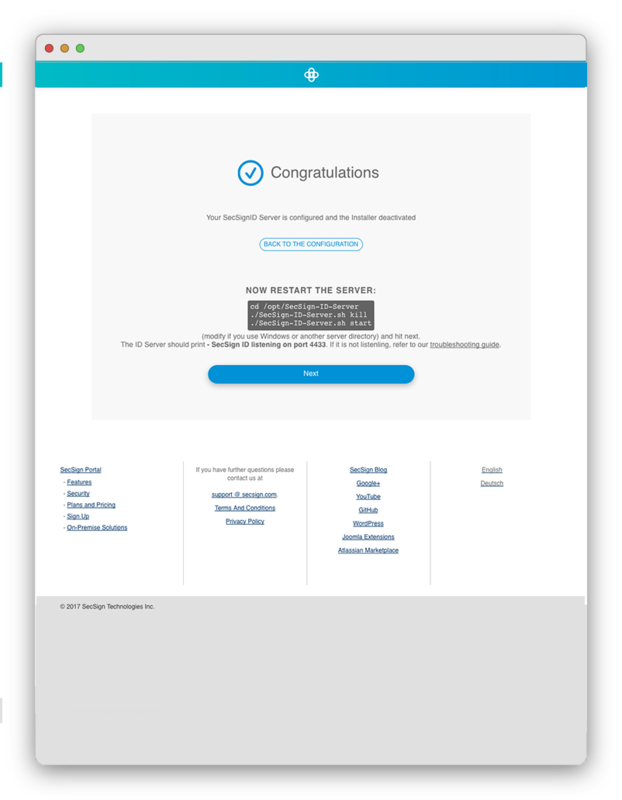 This provides final confirmation that you initiated the login and completes the authentication process. The admin area also contains your ID Server management, where you can change user details and ID status, manage user groups, PIN accounts, certificates, data processes, workflows, SSO settings, LDAP directories and see usage statistics. It is a useful tool to handle user accounts and manage ID Server related settings. Easy self-enrollment for users with your specifications or you want your users to use their company ID? It’s your decision. There is no need to transfer any user data to our server. You are in control, always. You have specific requirements? Contact us for customized solutions. Give your users the option of inline self-enrollment or bulk self-enrollment, no need for administrative guidance. Simply let the users generate their own ID with their next login. You have no control of what SecSignID names your users choose. This is the default setting. Send activation links to your users. With this link, they activate their account on their smartphones and are ready to go. This is a custom function, which depends on your preferences and Identity System. This function needs to be inquired separately, contact us to learn more. Automatic Enrollment enables you to control the ID creation process via your already setup user management system. Your users enter their user management data and they automatically get an ID assigned. No hassle for you and your users, as easy as on-boarding gets. Perfect for predefined user names or naming patterns. A custom ID app can facilitate AD/Ldap Login and automatic SecSignID creation based on user accounts. This function needs to be inquired separately. Get in touch to learn more about custom ID Apps. We offer several Plugins and APIs, which can handle user self enrollment. Let your users register with just their SecSignID to create a new account. Or they can login with their old username & password and additional SecSignID, to bind the ID to the user account. Alternatively, your users can go to their profile pages to set up their SecSignID. The administrator is always able to change, update or block SecSignIDs. Server logs are important to check if all components of the SecSignID server work properly, to track down authentication issues and so on. 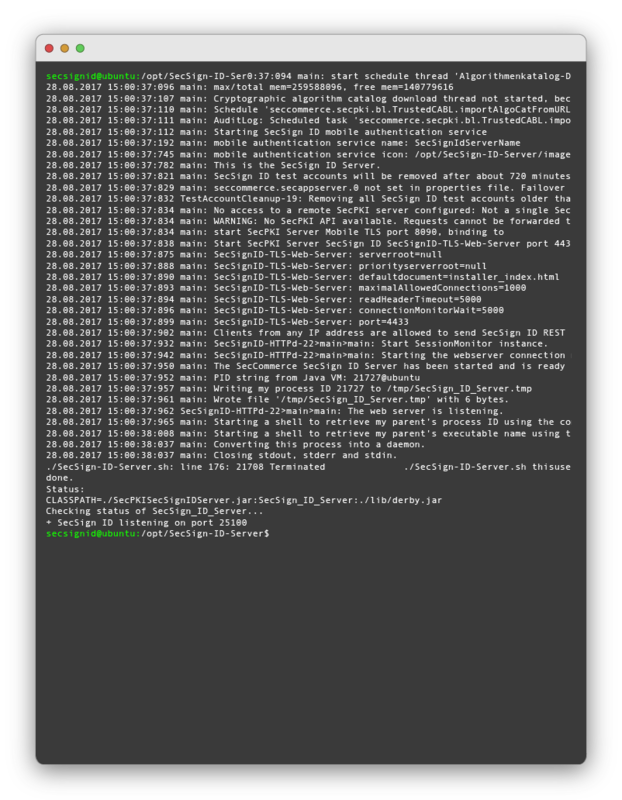 We recommend to enable logging, with a new log file every day. Finished log files can be compressed via GZIP. If you just deployed the authentication server, set the log level to EVENT or USAGE. If there are problems starting the server, use VERBOSE. Make sure to comply with any laws governing data protection and data security. It is recommended, that you specify an email address for all server events, errors, warnings and server startups. If you deploy an authentication service with a fixed user base, it is also recommended to enable notifications about each new SecSign ID account. Administrators can utilize the ID-Server statistics to get more information about 3rd party websites using the 2FA Api of the ID-server. They can review the IP, device name and service URL someone used to authenticate and how many authentication sessions a web service initialized. It is important to ensure fail-safe operation of the database, because it contains all information related to past and current authentication sessions, user accounts and other essential data. For critical authentication services, we recommend a fallback replicated operation behind a second hostname (see 10. Parallel, Redundant or Replicated Operation). Database backup systems can be used to distribute data across several machines to ensure fail-safe data recovery. Backups have to comply with any laws governing data protection and data security. Keep the OS software up to date with the latest security patches or new stable versions. SecSignID will inform you, if there is a new ID Server version available. All updates should be installed in a timely manner to ensure the best authentication experience for you and your users. If you decide to purchase the Support Plan for Managed On-Premise, our specialists will handle initial system integration, user enrollment, updates and backups of your authentication system. A dedicated technician will take care of every step involved, to have all the benefits of an On-Premise Server without the additional overhead of integration, maintenance and troubleshooting. For reliability and fail-safe operation it is possible to run more then one instance of the SecSign-ID-Server parallel, either with redundant servers behind a single hostname (sharing the same database) or with replicated server. Both methods can also be combined. After successful configuration and operation start of the first instance, simply start another or several copies of the first SecSign-ID-Server instance, all accessing the same database (completely duplicating the configuration of the first instance, optionally changing ports or hostnames as required). It is also possible to use a load balancing router behind the single public-hostname to distribute requests across the multiple SecSign-ID-Server instances. For optional additional database fail safe operation you may also use a database cluster (adjusting the secpkidb.URLProtocol property accordingly, as required for the specific database). Both the first and the remote (fallback) sites may use local redundancy with multiple SecSign-ID-Server instances and load balancing router or also cluster database instances. As protection against complete failure of the computer center or its internet access, you may choose to install a ‘fallback’ replicated SecSign-ID-Server at a remote site. This will use its own independent database and will be automatically found by the mobile devices if the host names follow the naming rule described below. This will allow the use of the safe encrypted replication provided by the SecSign-ID-Server over the public internet. 1 – After successful configuration and start of the first instance, install a copy of the first instance at a second remote site accessible through a second public hostname and using another database instance. 2 – At the remote site, start the installer, go to manual installation and adjust the database settings (or edit it in SecSign-ID-Server.properties). Deploy & restart. 3 – Start the installer at the first instance, go to manual installation and adjust the fallback server settings in the tab “6. Advanced” to something like id2.public-domain-here.com. Alternately, you can edit the parameters seccommerce.secappserver.0 and seccommerce.secappserverport.0 in SecSign-ID-Server.properties. Additional fallback SecSign-ID-Server instances can be installed at further remote sites and configured using “seccommerce.secappserver.1” and so on. At the mobile device SecSign-ID-App the user only needs to configure the first hostname, the App will determine alternative name when the access to the first instance fails and automatically try to access the other hostname. Can SecSign do the Server install? Sure, we can assist you set up everything or perform the whole installation and configuration. Just let us know while ordering or contact support. Do you offer a plug and play solution? Yes, we offer ready to use turnkey solutions, configured by our experts. You do not need to do anything. The default configuration is the latest Ubuntu Linux, the fully configured SecSignServer with a Derby Database. We also offer custom configurations and advanced system integration. You can find the option on our ordering page or contact support. How can I activate the Installer after deployment? And open the Installer URL with an internet browser. Is there another way to configure the server during operation? The Installer is just a little tool, which helps you to set all parameters in /opt/SecSign-ID-Server/SecSign-ID-Server.properties (or inside your custom server directory). It is intended to be a helper for first time installations. You need to stop the server operation in order to start the Installer. However, you can just edit all parameters during operation in /opt/SecSign-ID-Server/SecSign-ID-Server.properties (or inside your custom server directory). The changes will be active after server restart. The Installer does not start? If the Installer port is already in use, it cannot bind and fails to start. The default port is 28080. You can either stop the blocking service or change the installer port. To change the installer port, open /opt/SecSign-ID-Server/SecSign-ID-Server.properties (or inside your custom server directory), search “secwebserver.port” and change it to your preferred port. If there was no error during the server start, and you did not click on “deploy server” so far, you need to find the IP address and port. The Installer will try to bind to all available IP addresses and interfaces on port 28080. You can switch between the Installer modes without problem (just don’t forget to save). Just use the button “BACK TO MAIN MENU” and choose another Install mode. The Installer shows an error message? If you get an error, that this website cannot be displayed or a timeout, you are most likely trying to open the wrong address (see “I can’t find the Installer URL”). If you reload the page and still have trouble, contact us and we’ll help you setting up your ID Server. This is a common error, when another service uses the port, so the SecSignID Server cannot use it. In this case, stop the other service or activate the Installer again and change the port. It also occurs when the same instance of the SecSignID Server is started twice on the same ports. The licence file 'SecSign-ID-X.pkcs7' does not belong to this version of SecPKI. Your license was issued for a previous Version of the ID Server. Please contact support to get a new license. We usually provide the license file and all license related settings, when you get the server files. Make sure, that there is a license file (*.pkcs7) in your server working directory and copy the filename. Fire up the Installer and open the Manual Installation. You can check the license file an location in the first tab. It should be something like “./SecSign-ID-CompanyName-Licence.pkcs7”. If you license file is missing, contact us to get a new license file or if you are a new customer purchase a the ID Server incl. license. In the default setting, your SecSignID Server sends emails to the administrator, if an error occurs. This can be changed in the “Manual Installation” mode under the tab emails. Your ID Server was not able to send an email via any of the configured mail servers. Please open the Installer again and change your SMTP settings in the “Quick Installation” or “Manual Installation” mode. If the error persits, make sure that the machine with the ID Server is able to connect to the mail server – check firewalls and so on. Could not connect to the SecSign ID Server at “xxxx”. Server is not started correctly: Make sure you’ve started the server and it started the mobile service. Check for “Starting SecSign ID mobile authentication service” and “+ SecSign ID listening on port xyz” on the server output. We provide an ever growing list of APIs and plugins to easily integrate the SecSign ID Two-Factor Authentication in any project. An overview is available at Plugin and APIs. We do not only offer APIs in different programming languages but also plugins for CMS, Server and VPN environments, oAuth2 and many more. These plugins use our APIs and offer additional functionalities, for example user management, easy and native installation, logging or integration in firewalls or Active Directory. The JIRA plugin for example uses the JAVA-API. 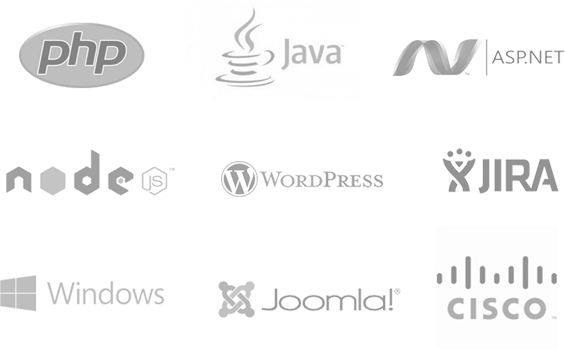 The PHP-Api and JS-API is used by WordPress, Joomla, Drupal, Typo3 and many more. The ASP.net/C#-API is used for the Windows and Cisco VPN and the C-API is used for protecting Unix SSH services. The Objective-C API is used by our AppleTV and iPhone/iPad apps. You can experience the SecSign ID two-factor authentication and the two-factor login by simply integrating the plugin into your website or test environment. Or you can try out the login process on our website without having to register first. You already have a SecSign ID or you want one? Login now and use the portal or use our hassle free registration. See for yourself how fast and convenient the login process using challenge-response authentication with 2048-bit key pairs is. There is no need for passwords, and no passwords or other confidential information are ever transmitted. It is easy to integrate and simple to use. For more information about the patented SafeKey procedure and it's unique security can be found here. If you are missing an API for the programming language you are working with, feel free to contact us and we’ll find a solution with you. If you need help with the integration into an existing system or you can’t find the plugin for your content management system you are working with, don’t hesitate to contact our support team. Choose between our SecSign ID Cloud or operate your own on-premise Two-Factor Authentication server. 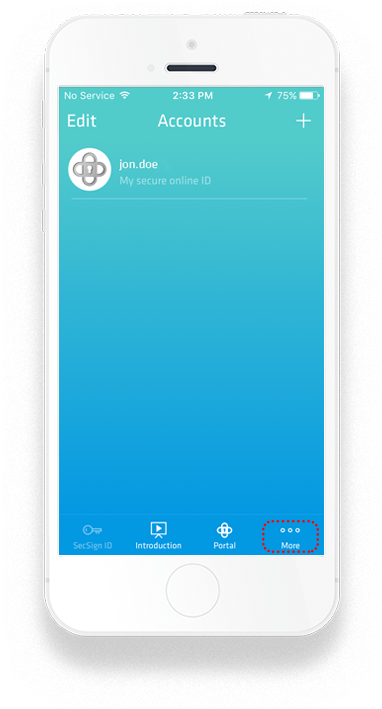 Operate your own YourBrand ID app - Two-Factor Authentication customized to your needs. Integrate SecSign ID Two-Factor Authentication in existing apps with our ready-to-use SDK. Use the Two-Factor Authentication Server to secure your company Active Directory/LDAP. Your own Identity and Access Management System, for example for mandatory updates and additional security features. Integration in any login environment: web, local, VPN, remote desktop, mobile logins and many more. No need for complex integration: we have plugins for almost all environments.